What is far less known than the Origins Of The Devil Horns is where did Satan's name actually come into this. 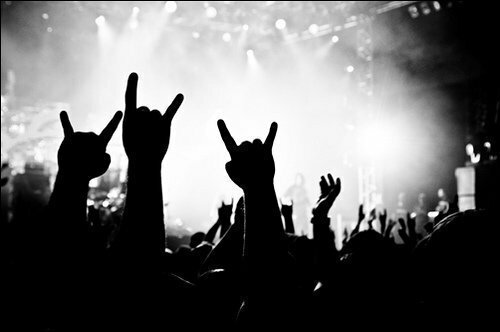 Because it is a gesture it is very difficult to trace the origins of the Devil Horns . However the very earliest depiction of the symbol is in an ancient Greek painting. From here it is thought to have passed into Roman culture and has existed in Italian culture ever since. The true name of the Horns is the "Corna". In Italian culture it has several meanings, and can be used in several ways. 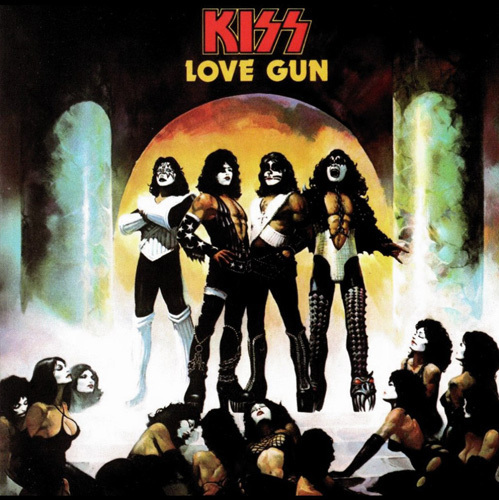 A big fan of comic books was KISS front man Gene Simmons, and it is rumored that he introduced the gestures of Dr. Strange into the realm of heavy metal. However, beating Simmons and Dio as rock n' roll cornuto originator is the psychedelic-occult band Coven. 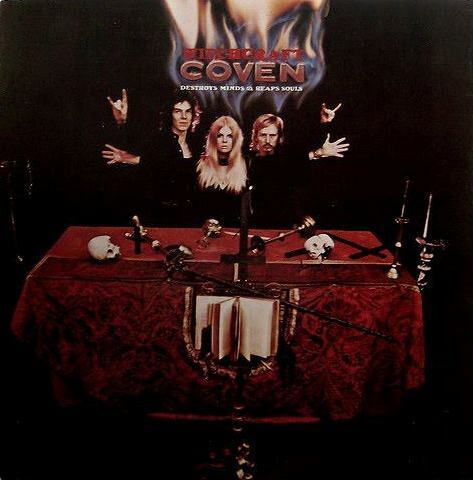 In 1969 Coven not only posed for the back of their album Witchcraft Destroys Minds & Reaps Souls making the "sign of the horns" (the "correct" way, not the Karana mudrā), but they included a poster of them at a Black Mass making the gesture as well. Also on the Witchcraft Destroys album: a 13 minute recording of a full-length "Satanic Mass." 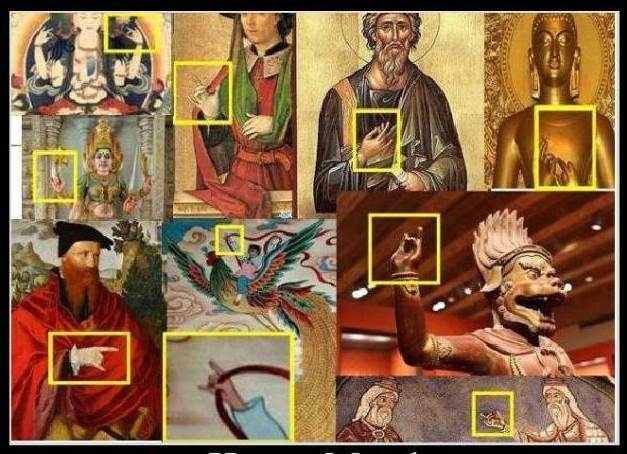 And so we come full circle to the Illuminologist claim of the sign of the horns gesture being a promoter of Satan (even though the mano cornuto, as well as the Karana mudrā, was supposed to repel demons instead of glorifying them). 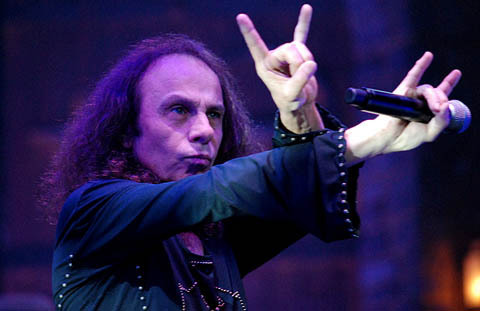 But there are still other explanations for the cornuto/"devil horns" gesture. 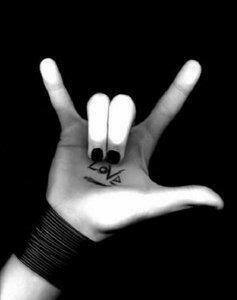 For example, the gesture for "I Love You" in sign-language looks identical to the Karana mudrā. A common claim by some conspiracy theorists is that this is because Helen Keller was a Theosophist, part of a metaphysical/occultist group that some Illuminologists consider Satanic. But whether Helen Keller was herself a Theosophist or a Swedenborgian is irrelevant to the origin of the the "I Love You" sign – because Keller was actually a controversial critic of the use of sign language, preferring the technique of oralism. 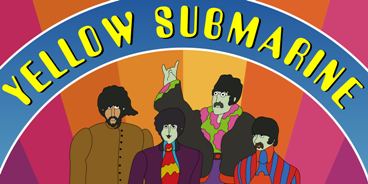 This leads into the much-cited by conspiracy theorists image of a cartoon John Lennon making what looks like the horns sign on the cover to the album Yellow Submarine. 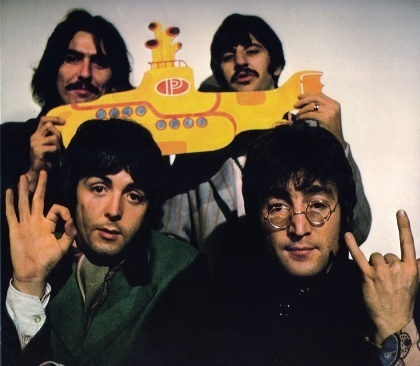 I put it to you, that this wasn't a sign of the devil, but Lennon "saying" All You Need Is Love.